Thanks to everybody who came along yesterday (Saturday 19th) to St Mary’s Street, Avalanche really couldn’t ask for better regulars. If I have a worry it is that there was no passing trade even on a Saturday something that wasn’t a total surprise after our time there last year. It did of course coincide with the festivities starting around Princes Street and as I’ve said for many years now the harm this causes to businesses outwith that enclave should not be underestimated. It will be interesting to see how The Arches fare this year. I also had people in to chat about the History of Scottish Music Centre which was good to see. 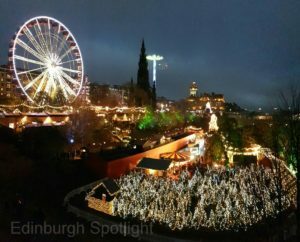 As the Tron proved it isn’t just about footfall but the right footfall and the vast majority of Edinburgh’s visitors definitely seem to fall into the “tourist” category. Edinburgh should really consider following what every other major city does and actively aim to attract those who want to see beyond the tartan tat shops and the castle. Again a big thanks for all the interest and support.